James Baldwin was born on August 2, 1924, and educated in New York. His first novel, Go Tell It on the Mountain, appeared in 1953 to excellent reviews and immediately was recognized as establishing a profound and permanent new voice in American letters. "Mountain is the book I had to write if I was ever going to write anything else," he remarked. Baldwin's play The Amen Corner was first performed at Howard University in 1955 (it was staged commercially in the 1960s), and his acclaimed collection of essays Notes of a Native Son, was published the same year. A second collection of essays, Nobody Knows My Name, was published in 1961 between his novels Giovanni's Room (1956) and Another Country (1961). The appearance of The Fire Next Time in 1963, just as the civil rights movement was exploding across the American South, galvanized the nation and continues to reverberate as perhaps the most prophetic and defining statement ever written of the continuing costs of Americans' refusal to face their own history. It became a national bestseller, and Baldwin was featured on the cover of Time magazine. Critic Irving Howe said that The Fire Next Time achieved "heights of passionate exhortation unmatched in modern American writing." In 1964 Blues for Mister Charlie, his play based on the murder of a young black man in Mississippi, was produced by the Actors Studio in New York. That same year, Baldwin was made a member of the National Institute of Arts and Letters and collaborated with the photographer Richard Avedon on Nothing Personal, a series of portraits of America intended as a eulogy for the slain Medger Evers. A collection of short stories, Going to Meet the Man, was published in 1965, and in 1968, Tell Me How Long the Train's Been Gone, his last novel of the 1960s appeared. In the 1970s he wrote two more collections of essays and cultural criticism: No Name in the Street (1972) and The Devil Finds Work (1976). He produced two novels: the bestselling If Beale Street Could Talk (1974) and Just Above My Head (1979) and also a children's book Little Man, Little Man: A Story of Childhood (1976). He collaborated with Margaret Mead on A Rap on Race (1971) and with the poet-activist Nikki Giovanni on A Dialogue (1973). He also adapted Alex Haley's The Autobiography of Malcolm X into One Day When I Was Lost. 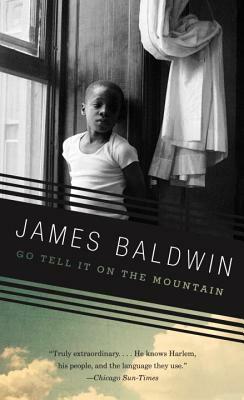 In the remaining years of his life, Baldwin produced a volume of poetry, Jimmy's Blues (1983), and a final collection of essays, The Price of the Ticket. Baldwin's last work, The Evidence of Things Not Seen (1985), was prompted by a series of child murders in Atlanta. Baldwin was made a Commander of the French Legion of Honor in June 1986. Among the other awards he received are a Eugene F. Saxon Memorial Trust Award, a Rosenwald fellowship, a Guggenheim fellowship, a Partisan Review fellowship, and a Ford Foundation grant. James Baldwin died at his home in Saint-Paul-de-Vence in France on December 1, 1987.